Events in the past couple of weeks indicate that the AR future may be inching closer to the present day. In August, Magic Leap finally released its AR headset and dev kit to developers. 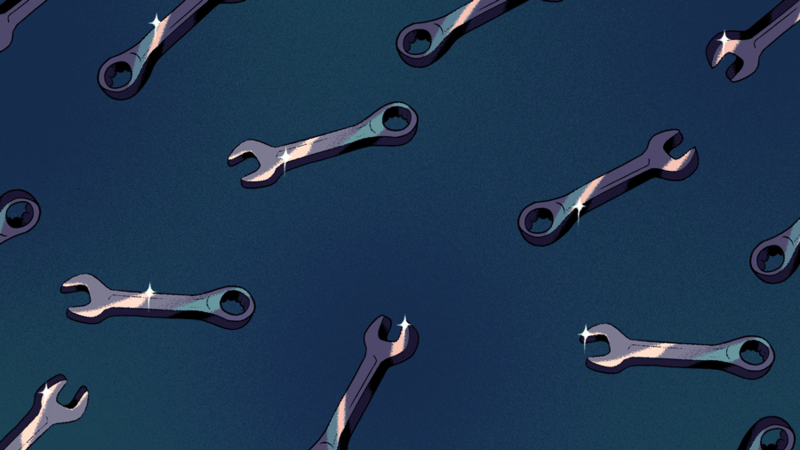 It was the first sign of product viability out of the company, which as Crunchbase News reported, has raised $2.3 billion over its seven-year lifespan. Magic Leap is far and away the most-funded startup in the augmented reality category. The chart below shows just how big a chunk of venture capital funding into the AR category went to Magic Leap. Magic Leap is a company with few privately-held competitors. It’s worth noting that Rokid—a Chinese manufacturer of smart speakers and, recently, its own AR glasses—is the only other hardware company to surface in this ranking. Otherwise, it’s mostly been big tech companies jumping into the AR ring. Microsoft launched its Hololens product back in 2016. Remember Google Glass, the search giant’s attempt at smart glasses? Though these products may have failed to gain traction among more mainstream users, they continue to be used in industry-specific settings. Earlier this week, news broke that Apple entered into acquisition talks with Akonia Holographics. According to the company’s website, it’s developed the “world’s first commercially available volume holographic reflective and waveguide optics for transparent display elements in smart glasses.” This lends some credence to a recent report from Apple analyst Ming Chi Kuo suggesting Apple may launch an AR glasses product as early as 2020. Although Alphabet (Google’s parent company), Microsoft, and Apple may have nearly limitless coffers to fund new product R&D and acquire companies, startups don’t. They typically raise money from outside investors like venture capitalists. And, in recent years, Magic Leap has raised a disproportionate amount of the capital, as the chart below shows. It could be argued that Magic Leap, by raising so much VC money—an order of magnitude more than any other AR competitor—has kind of sucked the air out of the AR hardware startup market. If Magic Leap fails to deliver on its promise, delivering an experience that’s nothing short of magical, there isn’t a deep bench of privately-held upstarts to compete against tech’s big five. This being said, venture investment into AR startups is near a local maximum, as we can see in the chart below. Virtual reality (VR) has been around for quite a while, but AR products aren’t even mainstream yet, at least not at the consumer level. There’s a reason for that, though. For all the technological advancements in displays, sensors, input devices, and user experience design that made VR immersive and accessible enough to everyday consumers, AR must accomplish as well. But, this time, AR hardware aspirants need to develop translucent display technology and understand how AR content would interact with real-world objects, among other challenges. AR technology promises a future with fewer physical screens, because everything could virtually become one. Long before that’s possible, though, there needs to be a strong ecosystem of applications and developers. But for the developers to come, there needs to be a robust hardware and OS platform. And we’re barely at that point now.